The full name of this company is Jimmy John’s Franchise LLC and that, of course, clues you in on two relevant aspects about the company. One: it functions under a franchising system. In 2013, 98% of all Jimmy John’s in the US were owned as franchises. Care to open a sandwich shop in your area, bearing the name of this popular company? Good on you—you’ll be one of the roughly 200 individuals who decide to do so each year. 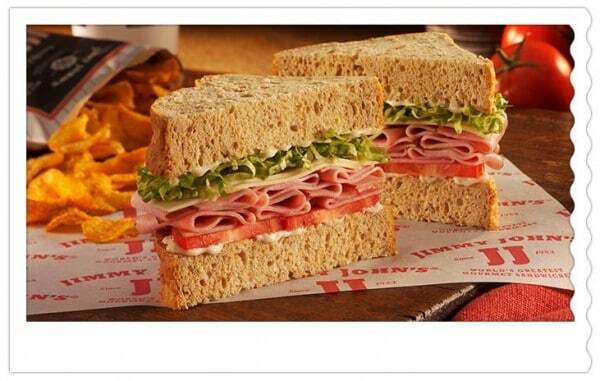 The second thing the name tells you is that it was founded by a guy called Jimmy John – Liautaud, to be more specific. 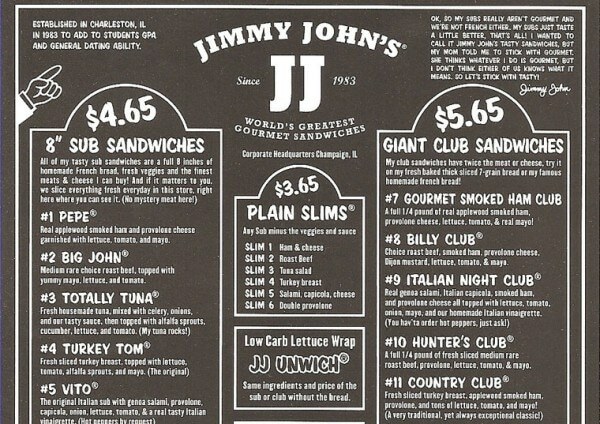 This Jimmy John was given a choice, when he graduated second in his class of 1982. He could either go into the army or open a business. Liautaud took a $25,000 loan from his dad and opened a hot dog shop. Soon enough, he turned it into a sandwich place, which he thought would be more lucrative. The first ever Jimmy John’s opened in a car garage in Charleston, Illinois, with second-hand equipment (freezer, fridge, oven, and meat slicer). Soon enough, the initial owner found his clients—the students at the nearby Eastern Illinois University. It didn’t take long before he bought his dad’s share of the business. In 1993, the first franchise opened, in Eau Claire, Wisconsin. The 100th Jimmy Johns was opened in Mt. Pleasant, Michigan (2001), sandwich store no. 500 under this franchise was opened in Seattle, Washington (2007), while no. 1,000 is in Beaverton, Oregon (2010). Catering services. Typically, delivery requires at least 24 hours’ notice, but Jimmy John’s caterers have been known to occasionally also fulfill emergency rush orders. Their party offers include mix and match sub or club mix platters, box lunches, jumbo subs, gourmet chips and cookies, as well as drinks and pickle buckets. Gift cards. The gift cards are reloadable and can be purchased either individually or in bulk. The minimum amount to load is $5 and options range all the way up to $100. The company recommends buying these personalized cards as wedding gifts or high school graduation presents. Holders can check their balance online and reload their own cards. Branded gear. Sold under the slogan “We’re bringing freaky back!”, JJ’s gear includes hats (snapbacks, mesh backs, beanies, and visors), clothing (shirts, jerseys, thermal jackets, tees, and boxer shorts), plus bags, bandanas, and backpacks. Website users can create their own gear wishlist online. When ordering online, Jimmy John’s customers first need to opt between pickup and delivery. The process also requires entering a valid street address. 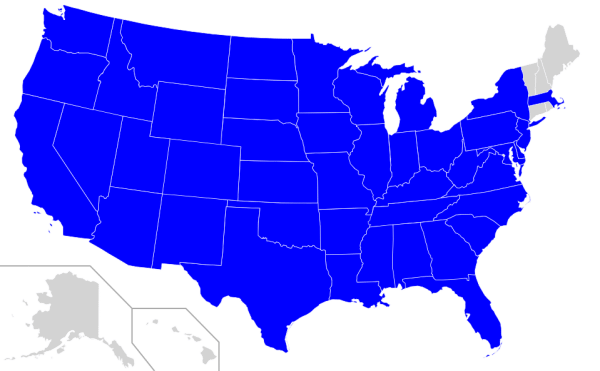 The address is required at this point, in order to see if you are located in an area where the company delivers, or close to a restaurant where you can pick up your order. Registration is not required until the end of the ordering process. The online menu at Jimmy John’s includes comprehensive nutritional information and facts on the allergens included among the ingredients. The menu is also available on the company’s website in printable .pdf format. Bear in mind that Jimmy John’s has been affected by a shortage in the turkey meat industry, since its supplier is based in the Mississippi turkey fly way. The company claims to refuse selling filler meat, which is why restaurants in certain areas, supplied by Mississippi-based farms, will not sell turkey meat. Restaurants in other areas, like Texas, Maryland, or Indiana, do have turkey readily available. Because of the restaurant chain’s franchising structure, delivery areas for Jimmy John’s have posed problems throughout the years. At the moment, sine the majority of shops are owned as franchises, this is rarely the case anymore—however, as little as 3 years back, some franchises were not allowed to deliver orders (though they did allow the pickup option). Another frequently encountered scenario is to live in an area where there are several Jimmy Johns’, but find out that the closest restaurant does not deliver for some reason. The only definitive list regarding available restaurants in your area can be found via the store locator function on the main JJ’s website. 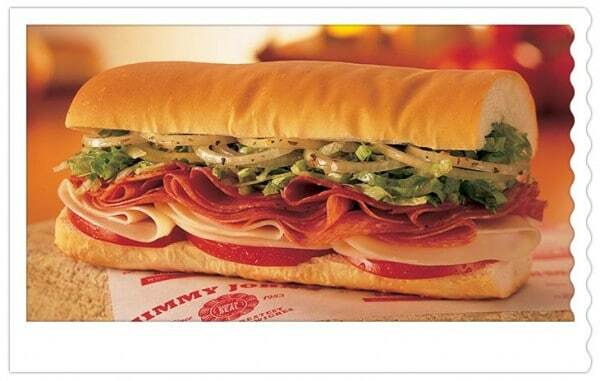 Simply search for ‘Jimmy John’s restaurants near me’ on the website. They will deliver within a 5-mile radius of any shop, as a general rule of thumb. According to official company information, as well as blog posts from alleged employees, most orders should be delivered within 20 minutes on average. On slow days, this can take 5 to 10 minutes, depending on the distance between your location and the closest Jimmy John’s shop that will take your order. In busy metropolitan areas, the average delivery time can range up to 30 minutes. However, there is no official company policy on how much time it takes for an order to arrive, nor is there any money-back guarantee in place for clients. As a side note, in many crowded met areas, Jimmy John’s also delivers by bike. A bicycle may not seem as fast as a car, but when auto traffic is heavy, it can significantly cut delivery times. Also, it’s probably a better idea to choose to pick up your own order, if you live in an area with heavy traffic. The company encourages clients whose orders do not arrive in 40 minutes to directly contact the store at which they’ve placed their order. Call the restaurant on the phone. You have their number available on the official website and you might find out that they’re willing to throw in some free stuff with you delayed order, or even completely waive the cost. Some clients in heavily trafficked metropolitan areas report waiting for as long as an hour for their order to arrive. Delivery fees will vary, based on your location. This is equally true about online menu prices, which differ from one delivery area to the next. In order to see menu prices for your area, you first need to enter your address, during the online ordering process. The delivery fee is essentially included in the menu price, which means there is no extra charge except for what adds up toward your order total. As of this writing, the minimum order at Jimmy John’s was one sandwich per customer per order. Though prices will vary, by and large that’s $3.99 for a slim sandwich, $4.99 for a sub sandwich and $5.99 for club sandwich. This means that no, you cannot only order a drink or a side. Slim BLT. This is an 8” sandwich with six slices of bacon. Bear in mind that, in some stores, no-one might know what you’re talking about—not even the store manager! Noah’s Ark. This is actually a J.J. Gargantuan with double the amount of meat. Pro tip: it will take longer to make than a regular Gargantuan. About tipping: In many areas, delivery drivers will earn a 4.7% commission for every delivery job they complete. However, this is not universally true; also, in terms of official pay, drivers earn lower wages than in-store staff. Be generous and remember to tip the driver, whenever appropriate. Hey Buddy!, I found this information for you: "What You Should Know about Jimmy John’s Delivery". Here is the website link: https://all2door.com/jimmy-johns-delivery/. Thank you.